Owning a car is indeed one of the most pleasant experiences for a person! There are certain things you must consider to turn the car as the best. Apart from the car’s design, color and accessories, there are certain add-ons that you must focus. The list of add-ons includes android car stereo. Music makes the journey entertaining and smooth. You must install a smart stereo replacing the traditional ones. You can find a wide range of smart car stereos with varying features in the market. It is essential to pick the car stereo that offers pleasant user experience. An Android Car Stereo integrates similar features and functionalities as the Smartphone. You can get in-system apps from the Google Play Store and synchronize the app with the stereos. You can find different types of stereos for your car with different functionalities and accessible features. You need to purchase the one that suits your needs! Survey and acquire knowledge before buying. It will be helpful for you to buy the best android compatible car stereo. Connect your phone to your car and enjoy a comfortable ride! On this page, you will get the list of top 11 Android Car Stereo. The information will help you to judge the best stereo for your car. 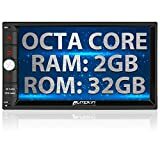 Pumpkin Android 7.1 Double Din Car Stereo is the best android car stereo for Ford Focus 2008-2010, Ford Mondeo 2007- 2011, Ford Galaxy 2010- 2012 and Ford S-Max 2008-2012. It has Android 7.1 and Quad-Core CPU Processor- 1.6GHz. The stereo equips 2GB RAM and 32GB Memory. The audio output is 450W at max. The screen size of the device is 7 inch and the screen has a resolution of 1024X600. You have control over image brightness, contrast, and color adjustment. It has an AV output with which you can play videos. You can play videos via USB, and SD card including even online YouTube videos. It supports subwoofer audio output and offers separate controls. With Bluetooth 4.0 you can enjoy hands-free call and BT music. The stereo equips Brand Radio IC that ensures better reception. This stereo supports both offline and online GPS navigation apps. It has a 1.5 meter long Wi-Fi antenna ensuring better signal reception. It has inbuilt Wi-Fi modem. You can use a 3G Dongle or connect to Hot-Spot for network connection. It weighs around 3.3 Kg and measures 33X25X18.5 cm. 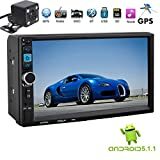 Buy a double din android car stereo connect it with your Android phone via a USB cable. You can play audio/video content from the connected device as well as play digital radio. Stream your music playlist and enjoy a comfortable ride. Access hands-free call with a wireless connection. The stereo equips high-quality sound retriever and you will certainly enjoy great audio quality. The stereo offers 13-band graphic EQ, auto EQ and Time Alignment features with which you can customize the sound settings as per your preferences. The stereo is a matchless system compatible with Android and Apple devices. Connect your device via Bluetooth. It weighs around 998 grams and measures 20X20X20 cm. You need to follow the instruction manual to set up the stereo perfectly and make sure you enjoy a musical ride with the new stereo. Pioneer SPH-DA230DAB has an alluring design that will impress you instantly and enhance the looks of the interior. Pumpkin Android 7.1 is a multitasking Android auto car stereo. This car stereo has 2GB RAM, 32 GB Memory with Octa-Core processor. The integrated specifications ensure installation of more files with extended storage capacity. It is a Double Din stereo with Bluetooth. Engineered with CD and DVD player, it integrates high-quality Radio IC ensuring better reception. You can enjoy multi-regional channels with the stereo. The stereo has a touch screen with 4K resolution that easily supports 1080P HD video. With this stereo, you will get a free external MIC that allows for clearer hands-free calls. The integrated subwoofer audio output with separate control offers high-quality audio. With the AV output, you can enjoy video display via USB, SD or online. You can access, online as well as offline GPS navigation apps. It has an inbuilt Wi-Fi modem and 1.5m long Wi-Fi antenna that ensure better signal reception. You can connect a 3G Dongle or connect to Hot-Spot for network connection. This stereo supports reverse camera input and automatically triggers to reverse camera. It weighs around 2.8 Kg and measures 26X25.5X16 cm. XOMAX XM- DA708 is an Android compatible car stereo integrating multiple functions and features. It features Android 7.1 OS and 2GB RAM (DDR 3). It has Quad-Core CPU of 1.2 GHz. It has the USB port and Micro SD Slot with which you can connect the device or insert the SD card to enjoy songs, videos, and photos. It has internal memory of 16 GB. It equips amazing finger touch display measuring 18cm. You will enjoy the videos on the 16:9 wide screen of 1024 X 600 Pixel. It supports 1080P videos for the equipped decoder. It has preinstalled navigation software, but you can install any of your favorite navigation apps from the Google Play Store. It offers dual zone feature. While playing a video in the background, you can use the navigation app. Via Wi-Fi- Hot-Spot, you can connect your Smartphone to the multimedia system. Connect the device with Bluetooth and stream music. Connecting the car stereo with the internet, you can access different applications in the Play Store. It supports different formats like MP3, FLAC, WAV, MP4, AVI, XviD, MOV, M4V, 3GP, VOB, M2V, FLV and many more. It features multiple languages. Thus you can operate the stereo in English, German, Russian, Spanish, Italian and many more. On display, you can access the rearview camera as well as steering wheel controls. Kenwood DDX31 is an Android compatible car stereo. It has a 6.2 inch VGA touch-screen display. It supports Bluetooth hands-free function. You can enjoy audio streaming with highly advanced features. You can connect 2 Smartphone at a time. It has CD/DVD drives with rear USB ports for excellent storage media. It supports MPEG ½, DivX format including JPEG files and audio files like WAV, AAC, WMA, and MP3. It has perfect radio configurations supporting 20 stations. The stereo integrates high-performing tuner for FM/MW/LW. It has separate connection for reverse camera. 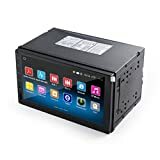 It is a Double DIN stereo compatible with Android as well as Apple Smartphone. Download Kenwood remote app and get extensive control over the device. It weighs around 1.7 Kg and measures 16.5X18.2X11.2 cm. Buy the stereo and get it installed following the instructions in the manual. You will enjoy the experience of connecting your Android Smartphone with the car stereo. If you are looking for an Android car stereo double din for your Volkswagen, take a look on HIZPO Car Stereo! The stereo’s operating system is Windows CE 6.0. The stereo has a display of 8 inch and equips analog TV. Screen resolution of the Touch Screen display is 800 X 480P. It integrates excellent features including Subwoofer output, steering wheel control, inbuilt Bluetooth, SD and USB support. The stereo supports multiple languages including English, Russian, Chinese, Turkish, French, German, Italian, Spanish, Portuguese, Arabic and many more. You can control the stereo functions selecting. It supports different media types including PNG, DAT, FLV, MOV, ASF, RMVB, JPEG, DVD, DVD-RAM, MP4, MP3, CD, MPEG4, and AVI. It has GPS Antenna, Subwoofer, TV Antenna, AUX-IN, and AV In and Out. It also supports Steering wheel control, and rear camera view. It supports different multimedia systems and also supports GPS navigation. This car stereo is perfect for a wide range of cars including Volkswagen, Skoda, and many more car models. It weighs around 3.3 Kg. LESHP Double 2DIN is an excellent Multimedia player for the car. Learn about the Android double din car stereo before installing it. Android 5.1 is the operating system of the stereo. It equips CPU of 1.6GHz Cortex A9 Quad Core. It equips 1GB RAM (DDR3). It has an internal memory of 16GB. It supports multiple languages like English, French, German, Italian, Spanish, Russian, Turkish, Polish, Arabic, and many more. It equips 7-inch touchscreen of high resolution with 1024 X 600P. It has inbuilt Wi-Fi system. The inbuilt Bluetooth 2.0 system that allows accessing hands-free call and phone book. It equips high power speaker. GPS system allows obtaining easy navigation. It has one pair of rear AV input and 2CH video out. Subwoofer output, steering wheel control, front SD input, Rear USB input and back camera supporting input features of the stereo make it a convenient choice for the car owners. It helps the high resolution with 1024 X 600P display screen. You can enjoy 1080P full HD videos. With four speakers of 45W, it provides amazing sound quality. Do you want to integrate Android in car stereo? Pumpkin 8 core is a universal car stereo incorporating excellent features and functions. Connect your updated Android Smartphone with the car stereo. Android 6.0 Marshmallow powers the stereo. It has an Octa-Core CPU and 1.5GHz processor. It equips 2GB RAM, and the internal memory is 32GB. Connect the Smartphone via USB cable and control the stereo functions. It integrates high-quality Brand Radio IC that ensures good radio reception. It has inbuilt USB port and SD Card slot. The memory can be extended up to 128 GB. It has an AV output with which you can enjoy videos via USB, SD, and online videos. Connect the DVD with the stereo. It has an inbuilt Microphone that supports for hands-free calling function. The external microphone includes free clear voice calling. It has an inbuilt Wi-Fi modem along with a 1.5 m long antenna that ensures better signal reception. You can use a 3G dongle or even connect to Hot-Spot for connecting to the internet. It weighs around 2.3Kg and measures 26X26X16.5 cm. ATOTO A6 is the best car stereo for Android. Android Marshmallow operating system powers this stereo. It is deeply optimized and customized by the engineers ensuring better performance in the vehicles. It has preset 4 X 45-watt amplifier. It integrates specific FM/AM radio tuner. The stereo equips dual Bluetooth 4.0 chips that ensure excellent hands-free function and media streaming via Bluetooth. You can access the internet and control sending and receiving of files. It has an inbuilt GPS module with preinstalled map engine app. Connect your Android device to the stereo via the USB port or insert SD card into the slot to enjoy videos, music, and images. The stereo features 7-inch touch screen with full HD resolution. It has inbuilt FM/AM radio tuner. It has standard external Wi-Fi antenna and inbuilt microphone. This car stereo is an amazing device with packaged functions and features. It weighs around 1.9 Kg and measures 16X18X10.5 cm. PolarLander is a car stereo Android system. Android 5.1.1 system powers the stereo and it has a Quad-Core Cortex CPU. The stereo has 1GB RAM, and the internal memory is 16 GB. With 4X 45 watt speakers, it provides excellent sound quality. It has a 7 inch TFT screen with capacitive touchscreen function. It supports multi-touch functions. It has inbuilt Wi-Fi and supports Hot-Spot connectivity that allows you to connect the stereo to the internet and access the features quickly. It has inbuilt GPS system that supports for easy navigation. The inbuilt microphone function promotes hand-free call. It supports 1080P HD videos and also supports DVR input of 720P. 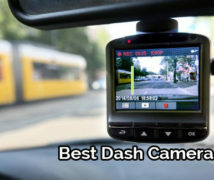 The stereo supports rear-view camera input as well as reverse tracking. It supports multiple formats of audio and video files. It weighs around 921 grams and measures 21.3X16.3X13 cm. This stereo could be a smart choice for your car. Pumpkin Car Stereo gets listed among the best android car stereo 2017. Android 7.1 powers this car stereo and integrates Octa Core CPU. It equips 2GB RAM and 32 GB internal memory. The manufacturer designs the stereo exclusively for Mercedes cars. It comes with DVD/CD Player. It integrates GPS System ensuring excellent navigation. You can access offline and online GPS apps. It has sub-woofer audio output and offers separate control. It has inbuilt Wi-Fi Modem with 1.5 m antenna that ensures better signal reception. It integrates a microphone providing excellent hands-free calling features. It has an SD Card Slot with which you can extend the memory up to 64 GB. You need to connect the stereo with external speakers and amplifiers. This stereo offers you the flexibility to select the speakers as per your preference to enjoy good quality sound within your car. You can use the AV output to display any video connecting via USB, SD or online. After going through the list of the best car stereos, you must have got confused! To know how to play music from the Android phone through a car stereo, you need purchase one of the stereos and read the manual for perfect installation. Each of the car stereos listed above has varying features and functions. You can purchase the best Bluetooth car stereo android as would suit your needs. The price range of the listed car stereos varies with the features and functionalities. Make sure to survey the market and compare the stereos before purchasing!